Booking is through this Eventbrite Link. SLA Europe is pleased to announce that it will be holding a gin-tasting evening on the above date. The event will be free to members and due to the nature of the event, places will be limited. If you’ve not yet joined, why not join SLA Europe today? If you are interested in becoming a member, click our membership link for more information. The event is sure to be popular so please book early so you don’t miss out. We will begin the evening by catching up with fellow members over a complementary beer and wine reception complete with canapés. We will then follow this with a gin-tasting masterclass hosted by a gin connoisseur. You will get the chance to sample and learn about three different gins. Once you’ve decided upon your favourite, you will have the chance to make your own gin fizz cocktail with it! 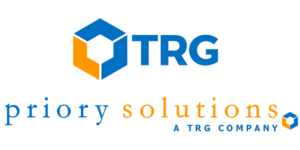 The event is being generously sponsored by TRG. Since its establishment in 1998, TRG has provided software services that enable companies to streamline their spend management, reduce costs, and make informed financial decisions about subscription-based services including market data, software, research, information services, consulting, and more.